Fitting a Solar iBoost means you could enjoy free hot water as an added bonus to the existing benefits your solar panels provide. Using only the surplus energy that would otherwise be exported, this product allows you to heat up your household water tank at no additional cost. 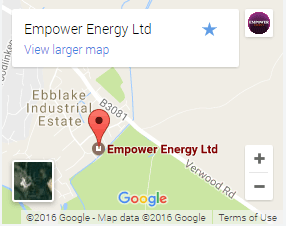 It's easy to monitor, helps lower your utility bills and doesn't affect your Feed-In Tariff in any way. The Solar iBoost concept is to use the surplus photovoltaic energy generated at your home to heat the water in your household water tank. In a household with a PV array generating a 2kW surplus, just 2.5 hours is needed to raise a 100 ltr tank temperature from 20˚C to 60˚C, giving a saving of approximately £0.50 per day based in average energy prices. How Does It Affect My Feed In Tariff Payments ? Using a Solar iBoost does not affect your FIT generation payments. Where you have a "deemed" usage contract with your FIT provider you will be paid for the export value regardless of whether the energy is consumed or not. This is normally based on 50% of the generation reading and will not be affected. Where an export meter is fitted the benefits of the Solar iBoost can still easily outweigh the rising energy costs of water heating. Solar iBoost fits quickly and neatly into your airing cupboard, simply wired between the existing fused spur and immersion heater. 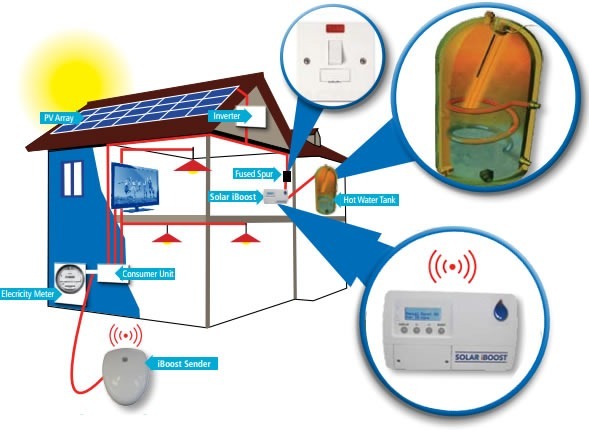 It wirelessly receives information continuously from a sender device which activates the solar iBoost to start heating the water. 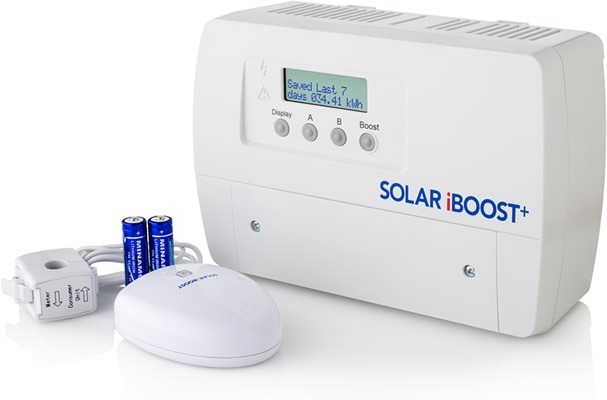 The Solar iBoost intelligently controls the amount of energy fed into the immersion heater using the information from the sender. It adjusts the enrgy flow to the immersion heater as your home consumption varies ensuring that only excess power is used. Theres no need to change your immersion heater as Solar iBoost works with any normal household immersion rated up to 3kW. Its also suitable for use with dual immersion systems. The digital display displays how much energy has been saved both historically and in real time. The operating status is monitored and warning lights inform the user of any alerts.